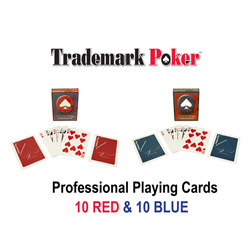 Trademark Poker brand casino quality cards. Plastic coating makes these very easy to clean. 10 decks of blue cards, and 10 decks of red.